In the idea for this week, toddlers can play as a fairy or a gnome and fly or run through easy levels to collect stars or spots. Although there are many computer games for children, there are very few for young children and toddlers under 5 on either the XBox 360 or the Playstation 3. Many families have one of these consoles, and younger children get left out and can only watch their older brothers/sisters play games. So this game is easy for children to pick up and play and teaches them the basics of using the stick on the controller for movement. The game is set in a magical kingdom where fairies and gnomes live in a large castle. 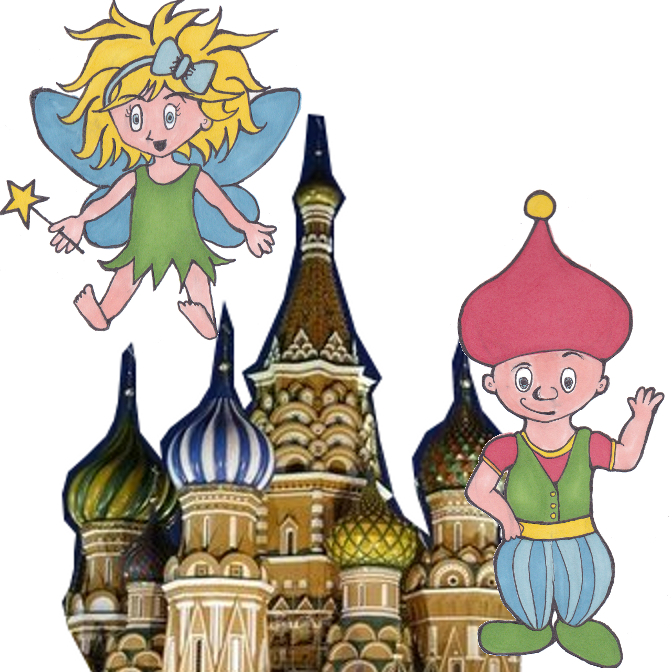 The fairies are able to grant wishes to children by waving their wand of star wishes. Gnomes have spots on their hats that give them magical powers. One day, some mischievous goblins decide to steal all the star wishes and spots. Suddenly, the fairies and gnomes have lost all their magical powers. They must now run around the kingdom and get them back, watching out for the gnomes who will take more stars and spots as soon as they can. Players can choose a character who is either a fairy or a gnome. Fairies must try to collect stars scattered about the levels, while gnomes must try and collect spots. Levels are set in one of 3 areas of the kingdom: inside the castle, in the forest or in the clouds. Each level has a single easy to follow path that the players navigate using only the stick on the controller. There are no other buttons that the player needs to press or use at all. Along the path are spots and stars. Every so often, a goblin will jump out and take a star/spot from the player, unless they move away. Goblins are easy to see from a distance and only grab one star/spot before disappearing again. If the player has no stars/spots to take, then the goblin will give the avatar a little tickle, which will stop the player very briefly while their avatar giggles. Eventually the player will reach the end of the path and will finish the level, gaining some stars or spots automatically, even if they have zero collected stars/spots at the end of the level. Up to 4 players can play at the same time. If the characters are too far away to be seen at the same time, the screen will go into split screen mode until the characters get back together. If there are only 2 players and they are not both gnomes or both fairies, then there is no benefit to being the first to the finish line, since they are collecting different objects along the way. The player with the most stars/spots when all players have finished is the winner of that level. The game will have lots of bright primary colours and a clean look without too many lines. Players will be able to customise the outfits that their characters wear. There will be a set of core avatars that players can choose from, including both male and female fairies and gnomes. The goblins should not be too dark and scary, and should appear more mischievous than "evil". The menus will need to be very simple so that children can easily use them without a parent. At the start of the game, there is an unlocked easy level in each of the three areas of the kingdom. As the game progresses, the levels will get harder, with more goblins to avoid and more turns to get around. However, progression through levels will be optional. If a child wants to keep playing the same level again and again, they can. Every time a level is completed the stars/spots that were collected go into a big storage cauldron. Once the cauldron is full, the final cut-scene for the game will play, which will show the fairies and gnomes beating the goblins. Harder levels will give the player more stars/spots for the cauldron, but are not necessary if the player can't complete them or doesn't want to complete them. After the cauldron is full, the player can (of course) continue to play all the levels, but the game will say that it is finished (even if all the levels haven't been completed). It is easy for parents and other children to jump in and play quickly as multiplayer. You cannot lose or die. All the player has to do is move the stick around the level. Once they reach the finish line, the level is finished, regardless of the number of stars collected. You do not need to complete all levels of the game to "finish" the game (get the final cut-scene). Levels are not extremely long, so they are easy to memorise and repeat. The goblins are always in the same positions. Children are well known for watching the same movie again and again, and this should apply to computer games too. If the child doesn't want to play all of the levels, they don't need to. Players cannot get stuck in a downward spiral of loss. Goblins only take one star and then disappear, so the player can then continue on their way. If playing with 2 children and one is a gnome and the other a fairy, then the children will not be competing for the same objects. That is, the gnome cannot collect the fairy's star.